Happy Lunar New Year from beautiful Vietnam. There are plenty of annual big and small festivals celebrated after the Tet Holiday in our country. Visiting these festival in the spring time, you may have the chance to get closer to the local life, the myth and the fun, beauty-loving spirit of our nation. You can visit Indochina travel Vietnam to get more useful information. Today is the 6th day of the new year and also the day we come back to work after a week off for our crucial vacation. For this reason, I have compiled a list of 3 biggest festivals opening for today which may be a good choice to pop up while travel in North Vietnam after Tet. 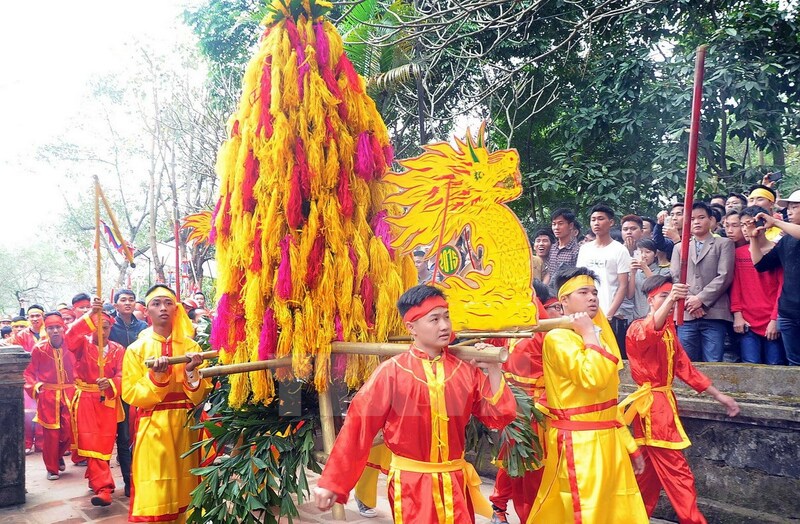 Giong Festival is annually celebrated in spring time to commemorate Saint Giong, one of the four immortals of Vietnam. He was respected and worshiped for his contribution in defending the country against the An Chinese enemy and becomes a great hero in Vietnam’s mythology. 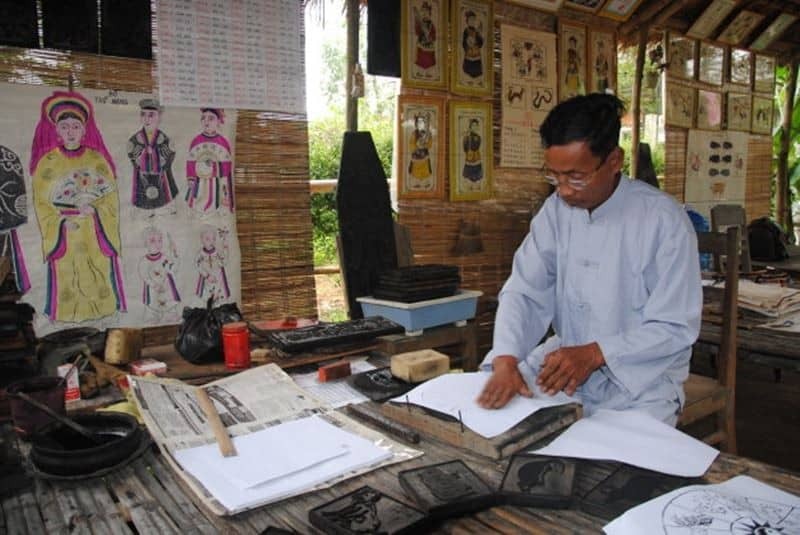 The festival held in Soc Temple where he ascended to the heaven after the fight which was recognized by UNESCO as the intangible cultural heritage of mankind, along with the other one held in Phu Dong Temple where Saint Giong was born. With the hope for abundant harvests and happier lives, this festival is celebrated for 3 days. From the night of the 6th, people start to do the bathing for the Saint’s statue called “khai quang” in the presence of villagers and pilgrims. On the second day which is the day when Giong sacrificed, the bamboo flowers offering ceremony is performed then the tourists may fight to catch one for the good luck. Apart from prcocessions and incense offerings, the festive will organize many activities for goers to immerse themselves in the festival for instance: playing folk games, watching chicken fighting, playing chess and enjoy traditional singing (ca tru singing). The Perfume Pagoda Festival origined from the “Woods Opening Festival” of the Muong people at the old days. As the main living activities of the Muong People in the past were farming, foresting and fishing, the forest should be opened for the new year to begin a new harvest of hunting and planting. Time flied, the Kinh people gathered in this Huong Son area but still keep this traditional festival and build more pagoda to worship Quan Yin in natural caves of this breath-taking mountain. Time: From the 6th day of the 1st lunar month until the end of 3rd lunar month. There is no doubt to state that this festival is the most famous site for Buddhist pilgrimage as throughout the history, many thousands of pilgrims travel to Huong Tich cave to pray for luckiness, happiness and prosperity in the new year. To reach this sacred cave, pilgrims get on the boat which goes along the Yen Stream through stunning green rice paddies field studded with limestone mountain to the base of the mountain then climb up to hundreds of steps through many stunning caves and monasteries. On the opening day of the festival, tourists may enjoy the Dragon Dance at the Trinh Temple yard, go boating and Dragon Dance on the Yen Stream. The Co Loa Festival is held annually to commemorate and worship King An Duong Vuong who was the founder of Au Lac Kingdom (Au Viet & Lac Viet) and built the Co Loa Citadel in the 3rd century B.C. The 6th day of the 1st lunar month was the day when King An Duong Vuong inaugurated his throne. Despite being the witness of the sad story about losing the freedom to the enermy, the Co Loa Citadel is still the pride of Viet people for our history of preventing invaders. Venue: Co Loa Commune, Dong Anh District, Hanoi, 17 km North West of Hanoi Center. From the afternoon of the 5th day, all of the eight communes including the Co Loa Commune and 7 others establishing the relations start the cermony of incense offering at the communal house. On the official festive day – the 6th day, the procession in which the funeral oration, incense burner and stone tablet are taken from the elder’s house to Upper Temple is carried out. In front of the Upper Temple, the yard is decorated with beautiful and colorful flags. Outside, two wooden horses in red and white color quietly stand. All of palanquins are orderly placed in two rows to wait for a solemn ceremony with incense offerings. 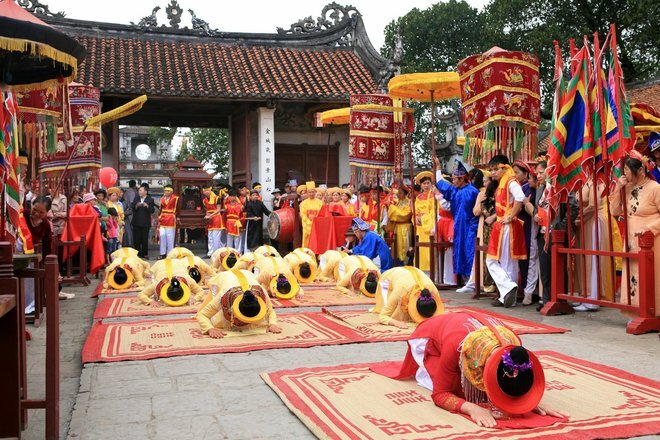 In addition to this rite, visitors also enjoy various traditional games and competitions include: wrestling, crossbow shooting, bamboo swings, rice cooking. Besides, you can also immerse yourself among the performances of “ca tru” singing, “quan ho” singing, and “cheo” singing. Wish you a new year of Rooster full of joy and success! Have long been well known as the paradise for dating couples, The Deck Saigon is a fine dining restauran which specializes in serving Western food. The restaurant has modern and luxury design and riverside tables are especially suit couples. Is it expected of this place to bring you an interesting and romantic night. Located on the rooftop of GEM Center, The Log is covered by a green space, quiet with trees that makes it completely separated from the noisy and bustling Saigon. For nature lovers, this restaurant is a nice place to spend your Valentine’s Day. With warm, romantic and quiet atmosphere, delicious dishes served and good services, this restaurant should be put on your list when choosing a place for Valentine’s Day. 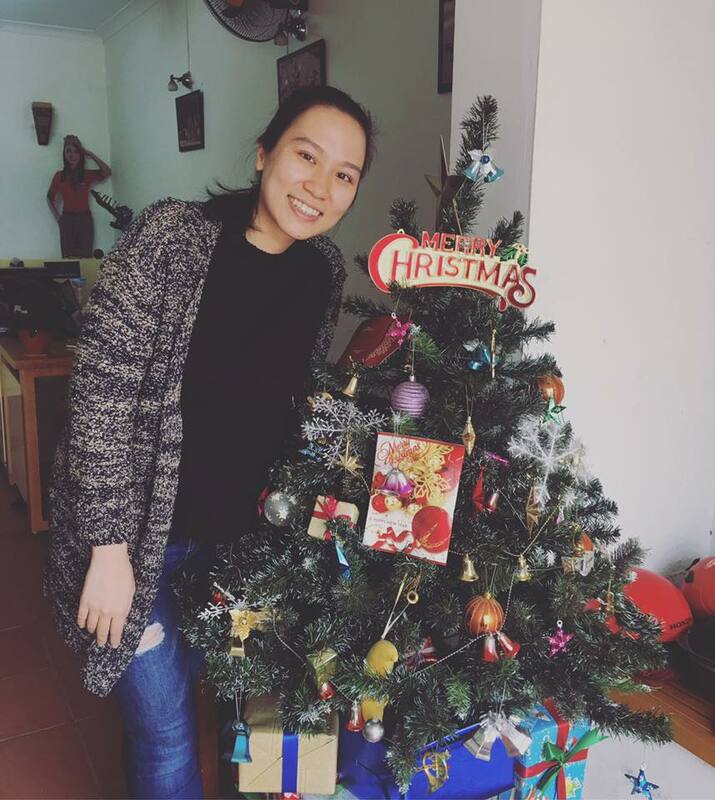 Christmas is knocking on the door, and in Indochina Voyages we’re eager to celebrate a wonderful Christmas ever! This year, to prepare for a surprising day and to tight the friendship between our colleagues, we did a sortie game. We gathered together and each person will take a piece of paper written a name of a person in our team. The giver would buy a present and put it under the Christmas tree with a small name sticker of the receiver, but the name of the giver is a secret and it only revealed on day Dec 23rd. One week before Christmas, the office decoration started. We built the plastic pine tree from last year, shaped it properly and put the ornaments on. 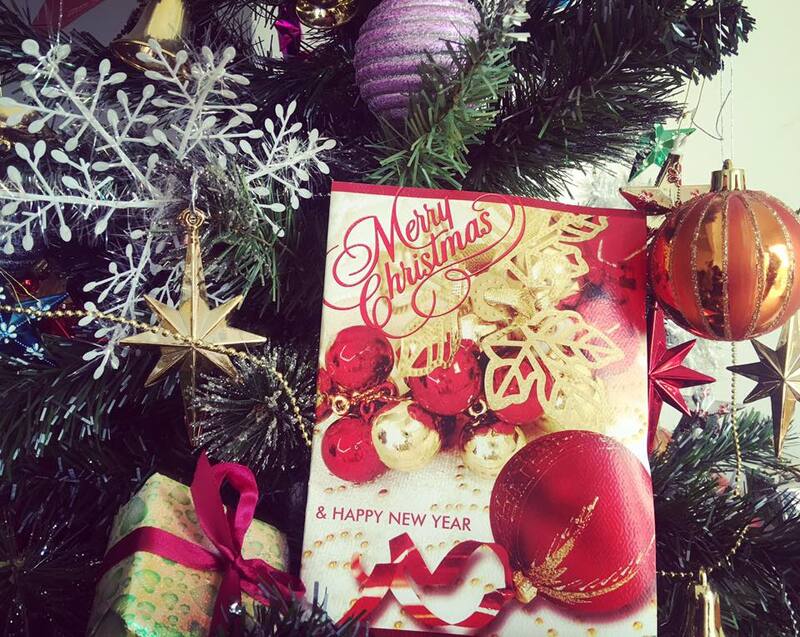 We also received some Christmas cards from our partners and they’re so lovely to put on the tree! Boxes are wrapped nicely with colorful wrapping papers and ribbons. 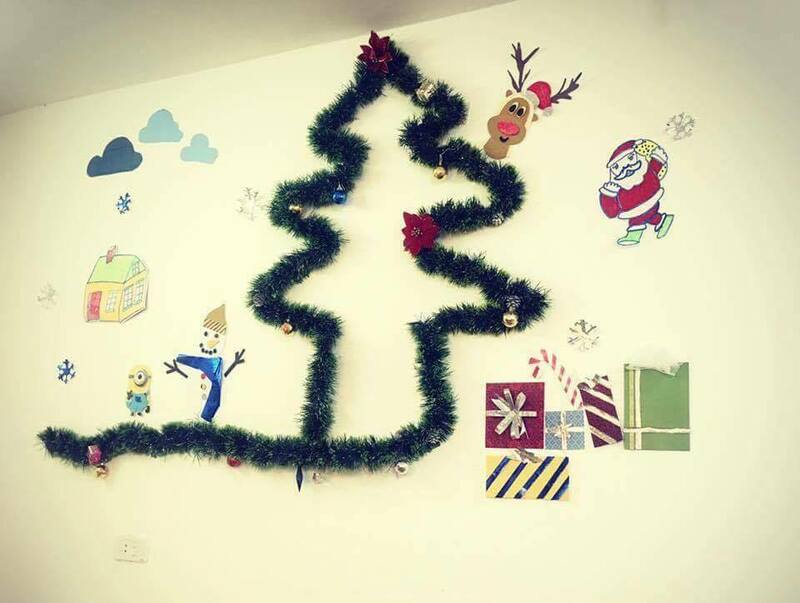 Whitewall is also put on a new look with Santa Clause and other funny handmade cutting. It took us an afternoon to finish but we had a lot of fun together! On the day, a small party had been set up with flowers, cake and fresh fruit. We gathered together, enjoy the food in the joyful melody of Christmas songs. We were curious about the givers and presents! The moment finally came. Each of us found the gift and opened it with excitement. There were useful, funny, beautiful gifts and we were all happy. Giving a present and receiving so much emotion, we got a memorable day with our team. How did you enjoy your Christmas? We wish you all a merry Christmas, a blessed holiday season. Wish for an upcoming year fulfilled with joy, love and happiness!